In early s pring Honeybees and Bumblebees become active after their winter sleep. Both types of bees are critical to maintaining our environment, as they pollinate crops, fruit trees and flowers. However, the bees themselves are under threat from the many pesticides in use in modern farming, and their environment is under threat from herbicides. Their numbers are becoming critically low, which affects food production in the United Kingdom. As a result of this so many people feel guilty when they have a bee invasion in their home or garden and they want to get rid of the bees. Whether it is a swarm of 50,000 or more bees passing through or building a hive, or solitary bees like the Ivy Bee that can have thousands of nests in an hospitable area, or a solitary Red Mason Bee living in your crumbling mortar, or the Common Carder Bee setting up home in an old mouse run in your garden, the UK has many types of honeybees and bumblebees that can find their way into your home and its surroundings. Just as there are many types of bees, there are many reasons why you might want them to be removed from your immediate vicinity. You may be concerned about the damage they are doing, or could do, to your property if they are nesting inside your house. Or you may have a fear of bees and it is unnerving to have them anywhere near you or your family. Or maybe someone in your family is allergic to bee stings and there is a constant fear of anaphylactic shock. There are many reasons why you may not want bees around your family environment, but there is still a concern that by removing them you are doing more harm than good. Removing bees in a way that allows them to still contribute to the environment is a skilled job, one that requires professional pest removal. Not only is removing bee nests yourself fraught with danger, as bumblebees can sting repeatedly when they feel their habitat is threatened, if they are removed incorrectly they can still cause damage to your home with rotting honey and potential re-infestation. The safest and environmentally friendly way to deal with bees is to call in the professionals. They can remove the threat to your family and property in a way that leaves you and your family safe, and have the bees still working for the good of all. 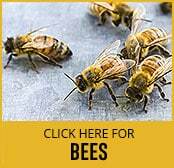 So you no longer have to feel guilty about removing our bee friends, just call for professional pest removal and keep you and your family safe.